In case you missed it, iOS 11.3 dropped a few days ago. The latest update has a file size of around 780MB, give or take a few megabytes depending on your device. According to Apple, it comes with improvements for augmented reality (AR), new emojis for iPhone X users, as well as the addition of the iPhone Battery Health feature. iOS 11.3 includes an updated ARKit, now at version 1.5. It allows developers to create more immersive AR experiences with the use of vertical surfaces like movie posters, walls, an doors, in addition to horizontal ones like tables, chairs, and floors. 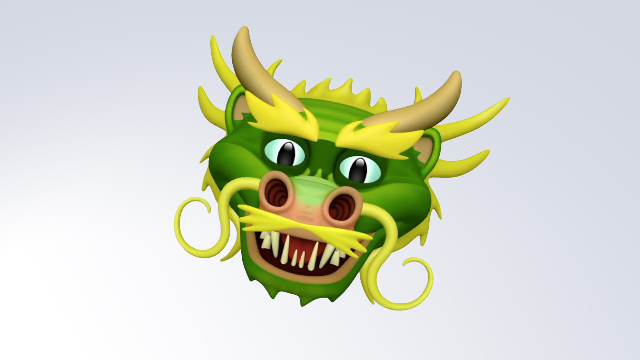 For iPhone X users, the update brings new Animoji. It adds four more characters to choose from — the lion, bear, dragon, and skull. Apple added a new Battery Health feature. Currently in beta, it shows the status of an iPhone’s battery, and also shows if the battery needs to be serviced. You can find this in Settings> Battery. Users can now also disable the CPU throttling in older iOS devices with ageing batteries. It is available for the iPhone 6, iPhone 6 Plus, iPhone SE, iPhone 6s, iPhone 6s Plus, iPhone 7 and iPhone 7 Plus. Aside from these, the update also comes with other features such as Business Chat, bug fixes, and other performance improvements. 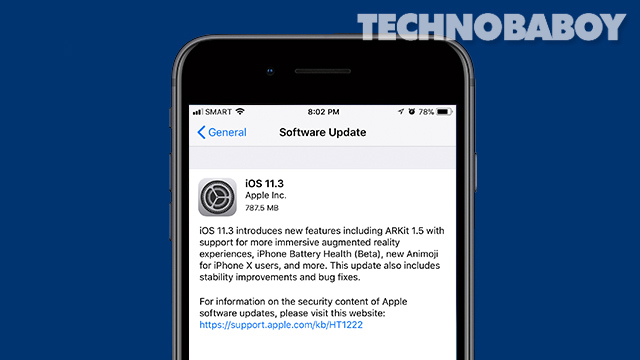 For the full list of iOS 11.3 features, please tap or click on the source link below. Before updating, always backup your data using your preferred method (or just use iTunes), in case things don’t go well. The whole process takes some time, so make sure you’re plugged in or have plenty of battery.